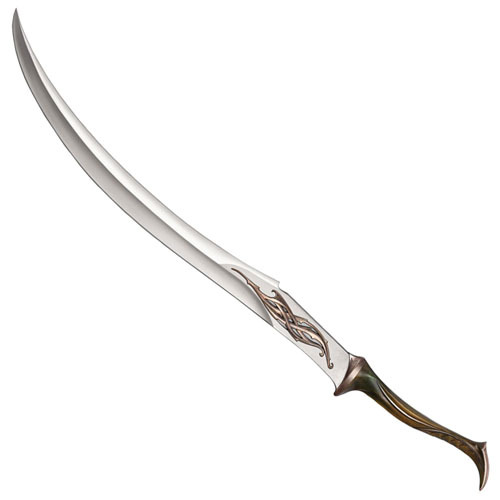 Join the Elven army and protect the Mirkwood forest with this The Hobbit Replica Sword from United Cutlery. 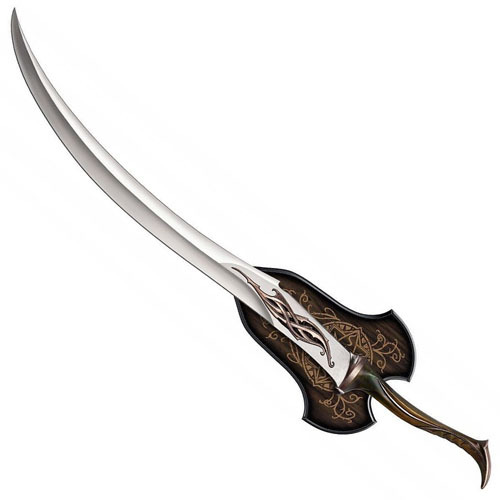 Its decorative Silvan steel is recreated in a stainless steel blade with a large two-handed composite grip. An intricately designed wooden wall mount is included for display along with a certificate of authenticity.